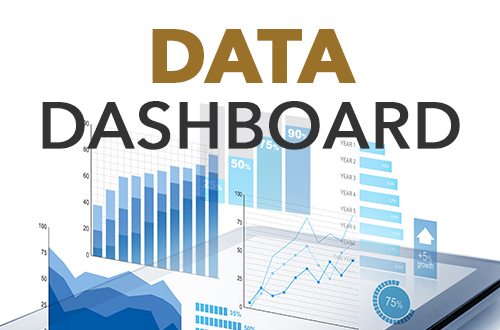 Data Dashboard is available to all College of Marin faculty, staff, and administrators via the COM Intranet or by clicking on the Data Dashboard icon in the upper right-hand corner of this page. If accessing it through the Intranet, you’ll find the link to the Dashboard on the folder list on the left side of the Intranet First Page. Due to security issues, in most cases, the Dashboard can only be accessed on campus when you’re signed in to the Marin Domain (college network) on an office computer. If you have an Argos account, you can also open the Data Dashboard under the QuickLaunch tab when you’re logged into Argos. A student is counted once—regardless of how many credit, noncredit, or community education classes* in which he/she is enrolled. Figures reflect data as of the current point in time. FTES is the sum of the total credits (units) taken by credit students, divided by 12. You may select either the Permanent City (permanent address) or the Mailing City (mailing address) supplied by students. To select data for credit/noncredit students and/or community education students*, check the appropriate box(es) below the "Select Term(s)" box. To view the data aggregated into the categories of credit, noncredit, or community education, click on and drag the Course Level "dimensions" tab to the far left side into the lower selection area (which determines the formatting of the data). For the headcount of credit students, a student is included if he/she was in a class at first census. The unduplicated headcount figures count a person once in each category. Note: If a class (CRN) has zero students enrolled, it will not show on the "Enrollment" tab. (To view classes with zero enrollment, please access ARGOS and do the following: open the Argos Explorer tab, click on the "A-Production" folder, and then click on the "Public" folder. Then, click on the "blue blocks" next to the "Class Enrollment_v2_BLT" report. The headcount of students served by DSPS (disabled students) and/or EOPS include enrolled students currently receiving services in the term selected. Students who receive only BOG fee waivers are not included in the count of students shown. The numbers in each box represent the number of grades, not the number of students. The numbers in the "Graduation Data" box represent the number of degrees and certificates awarded, not the number of students. WSCH: Weekly Student Contact Hours (WSCH) is the number of hours a class meets per week times the number of students in the class. A class with 30 students meeting 3 hours a week has 90 WSCH. The more students enrolled in a class, the higher the WSCH. WSCH can be thought of as a measure of revenue. FTEF: Teaching Units divided by 15. FTEF can be thought of as a measure of cost. Productivity (Load): WSCH divided by FTEF. This calculation can be thought of as a measure of productivity (revenue divided by cost). The higher the number, the more cost-effective a class is considered to be. Enrollment: A student is counted if he/she is enrolled at first census. Student Units: Number of course credits times the number of students in a class (a 3 unit class with 25 students has 75 student units). Awarded: Number of degrees and certificates that have been awarded. Allows the tracking of students from Term One to Term Two to Term Three. The minimum number of units in which students are enrolled can be specified for each term. *Enrollment for Community Education courses is only available through Spring 2014.